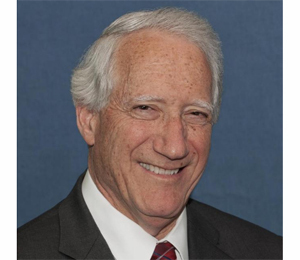 Marv Fertel retired at the close of 2016 as president and chief executive officer of the Nuclear Energy Institute (NEI) which is the policy organization for the U.S. nuclear industry and represents the industry in addressing generic technical and regulatory issues before the Nuclear Regulatory Commission; as well as policy and legislative activities with the Congress and the Executive Branch. Prior to becoming the CEO in 2009, he had been the Executive Vice President and Chief Nuclear Officer and at the establishment of NEI in 1994 he joined as the Vice President for Fuel Supply and Nuclear Economics. During his twenty-two year career at NEI, he has led industrywide activities from fuel supply and performance through resolving regulatory and technical issues to addressing waste disposal and decommissioning priorities. He has also been intimately involved with new plant development and deployment including advanced light water reactors, small modular reactors and advance non-light water reactors. He has worked closely in all aspects of the nuclear industry, particularly the electric utilities and major equipment and fuel suppliers and with INPO, EPRI and other key utility associations like EEI, APPA and NRECA. He also worked closely with the Department of Energy on its R&D programs and other areas like cyber security and advanced reactor deployment. From 1990 to the formation of NEI in 1994 he was the Vice President of Technical Programs at the U.S. Council for Energy Awareness (USCEA) where he was responsible for ensuring the technical accuracy and effectiveness of USCEA’s industry communications and also led the regulatory, policy and R&D activities associated with supporting companies in the front-end of the nuclear fuel cycle. Mr. Fertel has almost 50 years of experience working with the electric utility industry on issues related to designing, siting, licensing and managing both fossil and nuclear plants. He has worked in executive positions with such organizations as Ebasco and Management Analysis Company. His experience in these organizations included design-engineering and permitting for nuclear, coal and gas generating stations across the United States. During the 1980’s, he was significantly involved in management and operational reviews and in designing performance improvement plans for restarting “troubled” nuclear power plants that had to demonstrate improvements to the Nuclear Regulatory Commission. During this period, he was also responsible for supporting prudency reviews for new nuclear plants. He has served as a member of the Board of Directors of the Center for Energy Workforce Development, the United States Energy Association, the Foundation for Nuclear Studies, the American Nuclear Society, the National Energy Foundation and the Nuclear Energy Institute.